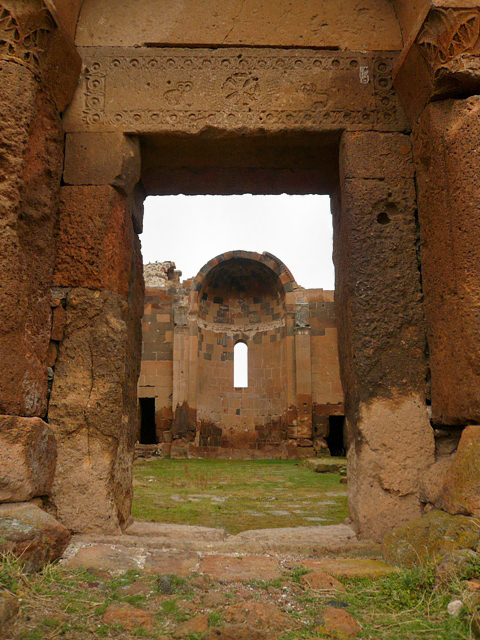 The Yererouk basilica is one of the earliest surviving Christian monuments in Armenia. 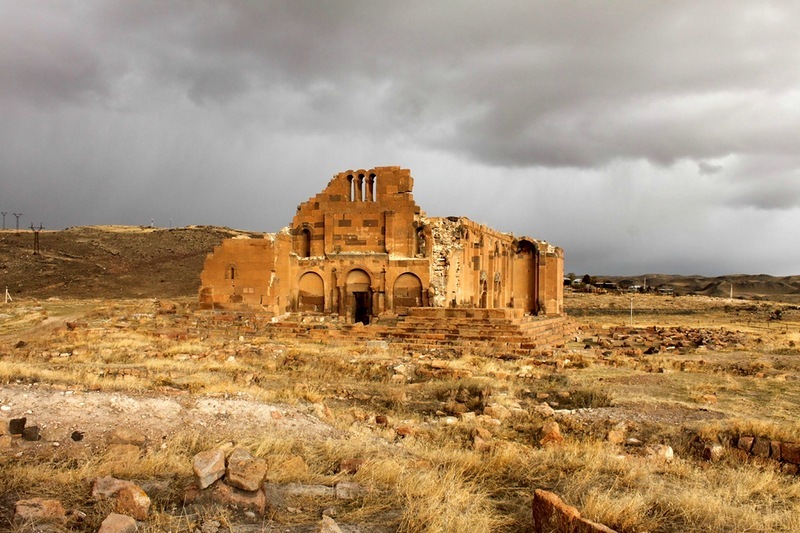 It was added to the UNESCO World Heritage Tentative List on August 25, 1995. 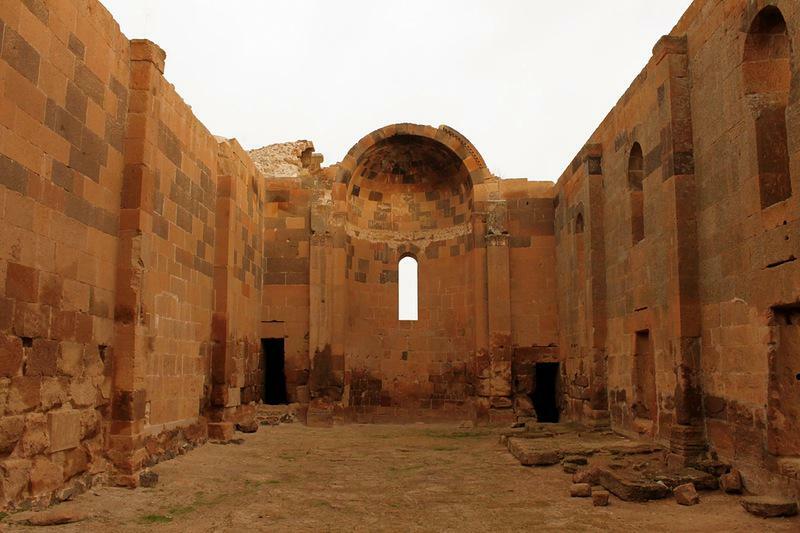 The Basilica is located on the eastern banks of the River Arax, facing the City of Ani, in the Shirak Province of Greater Armenia. 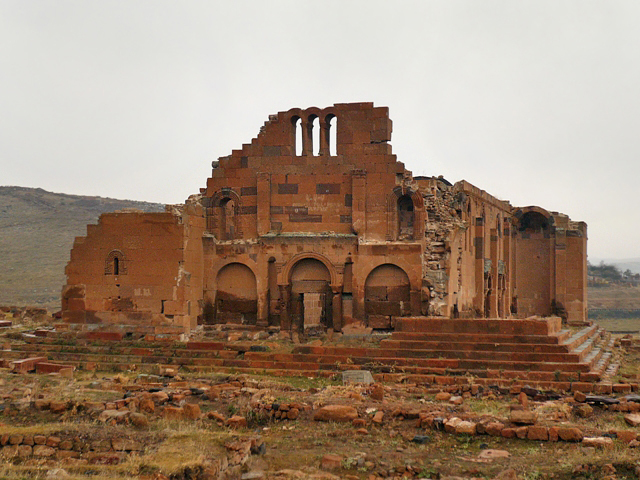 It has a very special place among the early Christian basilica Churches, as it is one of the classic examples built between the 4-5th century. 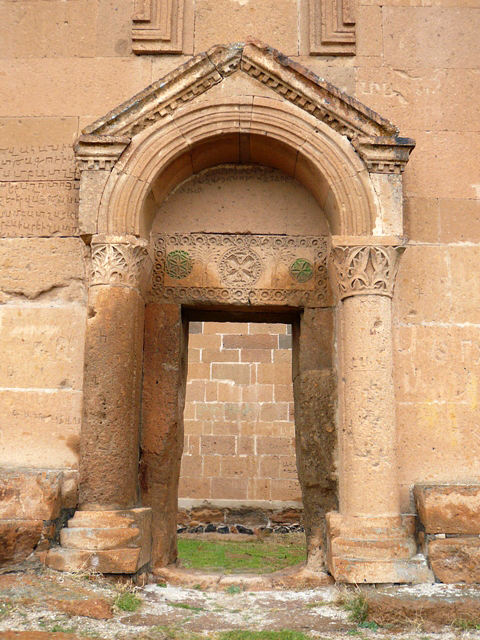 It is considered the highest achievement of the early Armenian ecclesiastical architecture and contains clues to the origin and formulation of Armenian architecture. 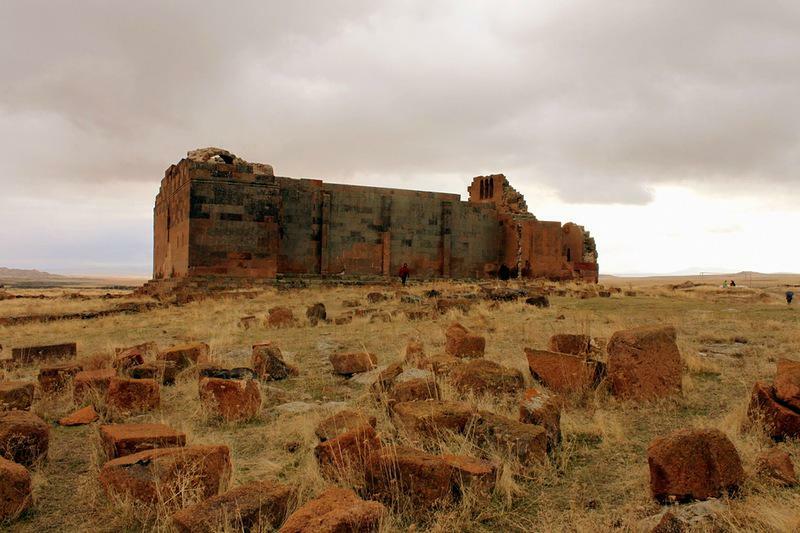 It is made of fine and hardy red tuff stone from Ani the ancient capitol of Armenia. Etymologically the name Yererouk originated from an ancient tradition of matagh (religious animal sacrifice) that has been retained from the pagan era. Underground passages near the cathedral lead to spacious halls. These passages served as “erdiks” (garret windows) letting sunlight inside. 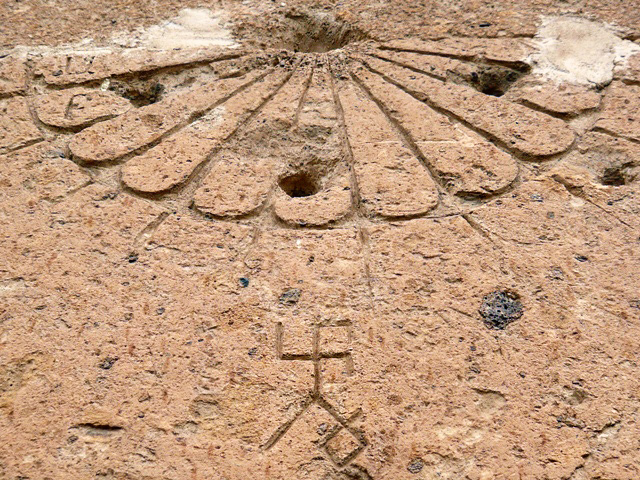 An inscription was carved on the cathedral’s southern wall. It is an excerpt from Psalms, “Holiness becometh thine house, o Lord, for ever.” A large graveyard with 7-8 pedestals was discovered here during excavations. According to archaeologists, these pedestals were monuments with stone ornaments at their top. Older burials were discovered farther down. It is believed that the adults buried here were distinguished individuals. Excavations also revealed a large number of stillborn graves. It is possible that these were victims of a certain disaster or a plagues. 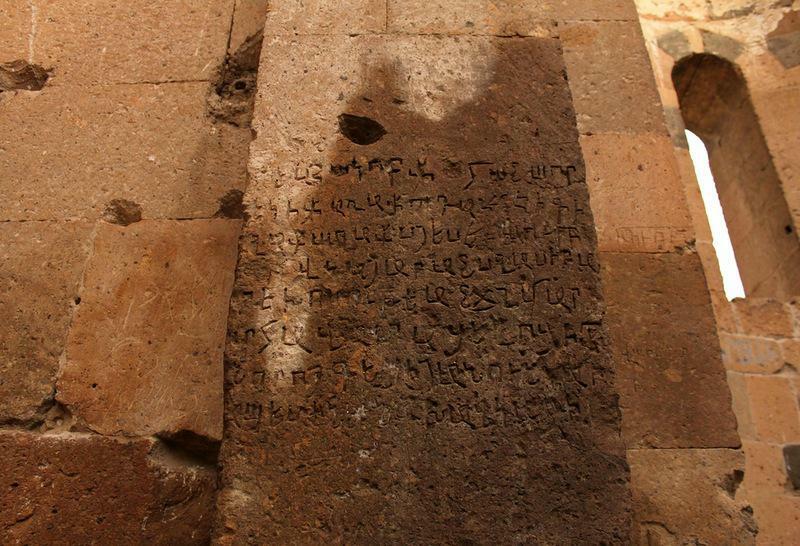 Another theories however links this find to St.Hovhannes Mkrtich. The cathedral was devoted to the baptist of Jesus Christ and perhaps people thought they could bury their stillborn babies here who weren’t yet baptized. 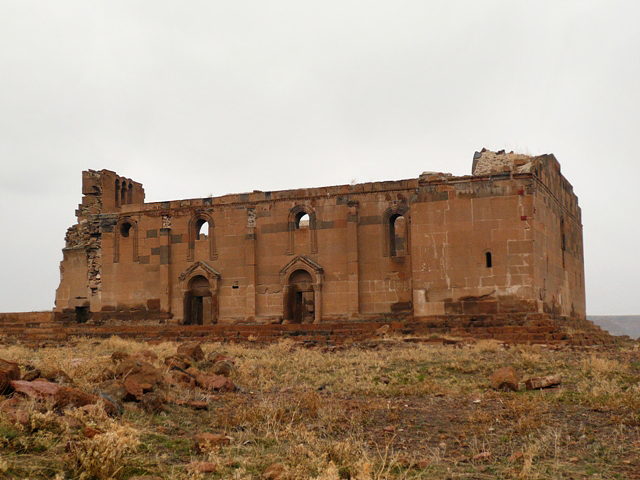 Yererouk Basilica has been badly damaged during the 1988th earthquake and is currently in a dreadful state. 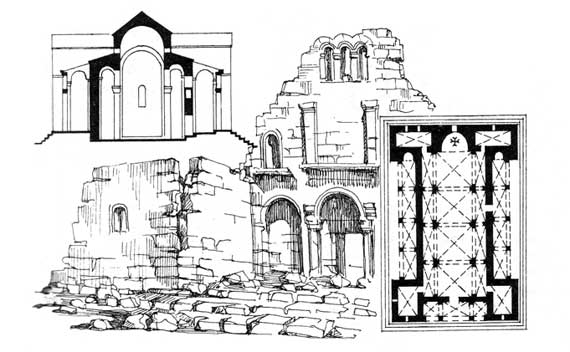 A detailed architectural reconnaissance was done in late XIXth and early XXth centuries by the talented Armenian architectural archaeologist, T’oros Toramanian, who made detailed sketches and drew reconstruction drawings of the Yererouk Basilica which help us better understand the original state of the intact Basilica. The southern portal which has been relatively well preserved (with most of the ornate carvings in tact) represents a rich and creative craftsmanship.